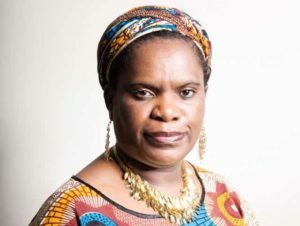 Betty Makoni will conduct some one on one trainings . Sierra Leone has been at war for the past decade that brought down both educational and social fabric of our society, that have witnessed the complete break away of children especially the girl child, and more so there is the need for this networking to foster cooperation and development of the girl child education in Sierra Leone. Please see enclosed our aims and objects and achievement. Guadalupe Old Girls Association-UK (GOGA-SISTERS) is an association of ex-pupil of Our Lady of Guadalupe Secondary School for girls Lunsar, Sierra Leone. It was founded in February 2007, in England UK as a Sierra Leonean women development group and registered as a Community Interest Company (CIC) Reg. No.7378482 With the aim of promoting education, health and welfare of girls to fulfil their potentials in Lunsar and through out Sierra Leone. Guadalupe Old Girls Association-UK (GOGA-SISTERS) is a non profit, non political, non partisan and a community based organization, which seeks to promote the girl-child education, social and welfare needs in Lunsar and through out Sierra Leone. To break the inter-generated cycle of poverty, abuse and ill-health in Lunsar and Sierra Leone to disadvantage girls. To improve and promote women empowerment, through education, health and social welfare of girl child through suitable activities e.g. Introduction of girls clubs in schools, Training of Trainers (teachers and girls leaders) workshops, seminars in regional and national level for girls. To raise funds through a range of social and recreational activities etc. (as deemed appropriate and permitted by the Executive Committees), to achieve our aims and objectives. Encourage other members of the school in town/cities/villages both national and international to form branches of the association. To form links with individuals and agencies internationally that have similar aims and/ or can contribute to the aims and objectives of the organization. To provide educational equipment or facilities that will contribute to the development and participation of women empowerment in Lunsar and Sierra Leone. Help keep the Ex-pupil and agencies informed about the developments and achievements of organisation e.g. through newsletters and general media. Funding of school dinner in support of the Government scheme, Scholarship scheme for 100 disadvantage girls this has encouraged parents to support the girls to attend school and classrooms refurbishments has given the girls ideal place to study. Dear Madam, I heard over SLBC on the woman talk programme about your network programe in sl .Thanks very much. However i may want my secondary school which is o j e samueals sec school 5 jones st kissy freetown.